Changing your circumstances might not be possible every time you’d like things to be different. Instead of complaining about it, change the way you look at the situation. Perception is everything. It will help you shift your focus from what you don’t have to what you do have. Changing your perception will help you change your attitude toward life, and that will help you deal with the situation better. It has been said that your attitude determines your altitude in life. If you want to rise above a negative situation, think positive thoughts. Every so often when you go through a negative experience, you may be eager to run away from it or try to change it, but not very willing to make the needed changes within yourself. Learn to confront a negative experience head-on. Doing so will give you power over the situation. You will control it rather than it controlling you. Deep-rooted principles and opinions can create obstacles to your personal growth. Let go of outdated beliefs that serve to prevent you from moving forward and growing. When you change the way you look at a situation, you automatically change your situation for the better. In reality, it is not the experience that matters. It is your reaction to the experience that makes all the difference. Les Brown, the motivational speaker, stated: “It doesn’t matter what happens to you, it only matters what happens in you.” Know that there are things you can change by changing your outlook. 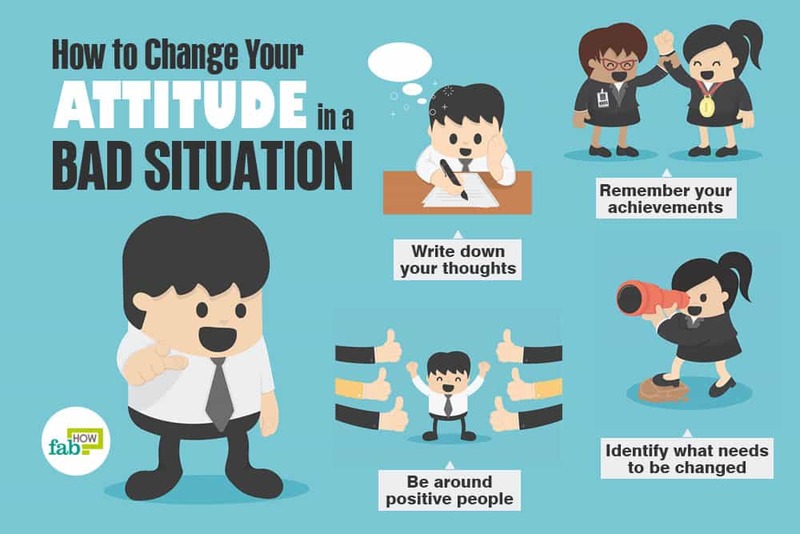 Here are ways to change your attitude when a situation is not within your control. Acknowledge that you need to change. The first step toward changing something is realizing that something needs to be changed. Don’t live in denial. Stop wishing that things were different and take control of the way you deal with situations and people. Be willing to embrace change. Find out the reason you need to change. Get to the bottom of why you aren’t happy with what you have. Why do you need to change? 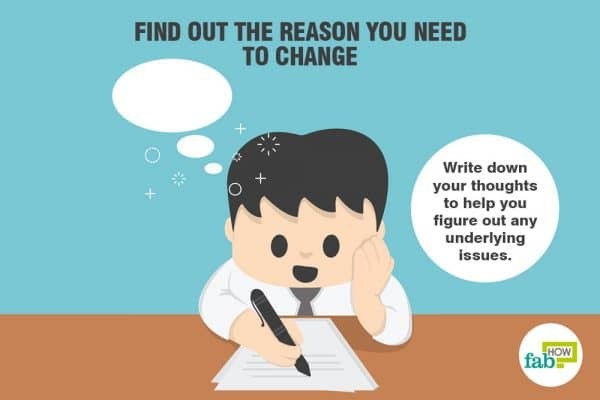 Either write down your thoughts to help you figure out any underlying issues or talk it through with someone you trust. Get professional help, if needed. Change isn’t always welcomed however understand that change allows for growth. 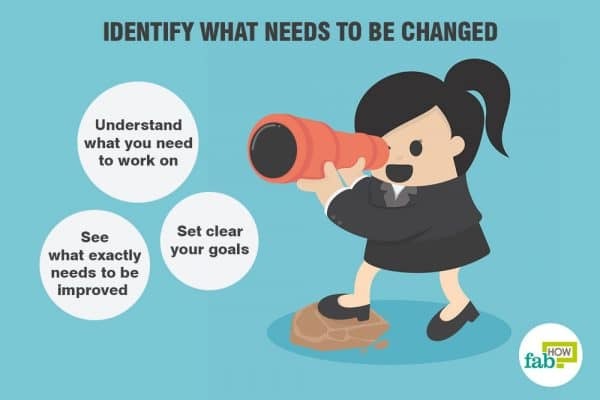 Examine your motivation for change. Identify what needs to be changed. Understand what you need to work on. Start by creating a list of what isn’t working for you. Set clear goals. Do an honest self-evaluation and see what exactly needs to be improved or changed. Find a role model. Is there someone who has what you are trying to accomplish? Whether it’s a trait, personality or achievement, let that person be your inspiration and encouragement in life. Find role models you want to emulate. Role models can come in many forms such as parents, teachers, coaches or community leaders. Change your perspective. Find a different way to look at a situation and different approaches for handling it. Rather than whining and complaining about your bad luck, look for ways you can deal with the negative experience. Start by taking a step back to re-evaluate and rethink the situation. A fresh perspective can be uplifting. Find motivation to change. If you are having trouble changing your attitude, think of how such a change would positively enhance your life. Consider the outcomes that would result from your attitude change. When you see how much better your life would be once you change your attitude, you will be motivated to work on it. Tap into the power of positive thinking. Believe in the change. Most of the time, what stops people from reaching their goals is a lack of confidence in their abilities. Believe in yourself, or the change will never happen. Learn to embrace change and be willing to meet it head-on. Visualize the change. When things aren’t going well, visualize the change you want to see. Visualize yourself succeeding or having things you want in life. This will help you maintain a positive attitude. Take out time to do creative visualization making it a regular practice. You have the power within you to create your own experiences and outcomes. Keep up your enthusiasm. Keep a list of things that lift your enthusiasm and have it handy for the times when you feel your enthusiasm waning. An enthusiastic attitude will help you maintain a positive attitude in life. Make optimism a habit. Create happiness from within. Don’t wait for someone or something good to happen to make you happy. Be happy with yourself first. Your inner happiness will influence your environment and situations. You and only you are responsible for your happiness. Change the way you think. When you are in a negative frame of mind, your thinking can affect all aspects of your life. Start thinking positively. When you have a positive outlook, instead of looking at how bad your situation is, you will start thinking about how you can change the situation for the better. Expect a positive outcome. Choose to be positive. Whenever you face a difficult situation, choose to deal with it with a positive attitude. Look at the positive part of the challenging situation, or try to find five positive things about the situation. Write them down and refer to them when things seem bleak. Look at your struggles as growth opportunities. You may not be able to realize it right now, but everything that happens in your life helps you grow. Your life experiences teach you important lessons and help you become a better person. Sometimes, things have to go wrong before they can be right. Gloria Clemente, a character in the movie, White Men Can’t Jump said, “Sometimes when you lose, you actually win.” This is life’s way of teaching you a lesson. Stop whining. When you complain about every small thing in your life, you foster a negative attitude. Either fix the situation or find a solution to it. Know that complaining will not help resolve the issue. On the contrary, it will create a bad attitude. Change your perspective, so you can start looking for solutions or simply accept that which you cannot change. Don’t be that person everyone avoids because of your negativity. Stay positive in the face of adversity. Use positive statements while talking. Make it a habit of using positive statements like ‘I will find a solution to this,’ or ‘I am hopeful that it will turn out to be okay.’ The words you use when you talk have a significant impact on your attitude and your outlook in life. 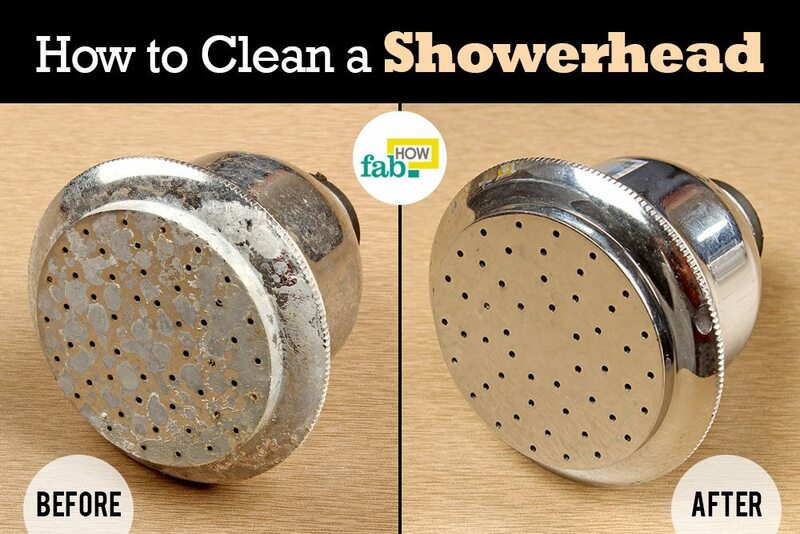 Tape these statements to your bathroom mirror or refrigerator. Repeat them often. Read and listen to inspirational material. Read inspirational and positive books, listen to uplifting music and watch movies that inspire you to overcome your obstacles and beat the odds. Libraries and bookstores are full of inspirational materials. Be open to learning. Whenever you face a difficult situation, be open to learning something from it. When you are open and curious, it allows you to experience the moment fully. Curiosity also helps you approach things with a positive attitude. Life is full of lessons. We only stop learning when we close our eyes for the last time. 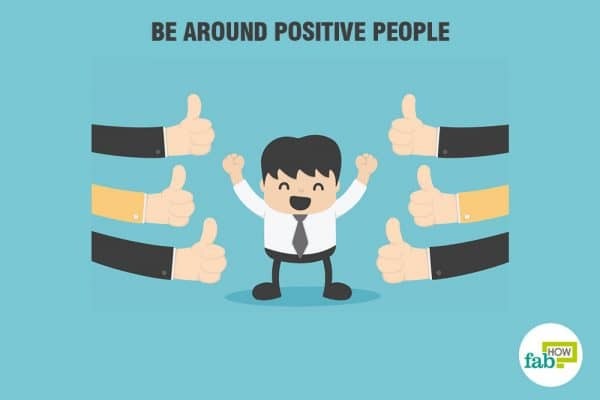 Be around positive people. Being around people with a positive vibe can inspire you to be positive in life. Closely listen to the words they use when in difficult situations and the way they deal with such situations. Practice gratitude. Learn to appreciate what you have. Be thankful for what you have and what is yet to come. Know that you can’t have everything, nobody does. No one’s life is perfect. Every day before going to bed, write down five things for which you are grateful. Watch your blessings multiply when you are grateful. Laugh. Laughing your heart out can help you forget your circumstances. Put yourself in a situation where you can laugh. It will give you a break and even help you reframe your thinking. Never underestimate the power of laughter. Practice daily affirmations. Say positive things to yourself every morning. Start by saying something like ‘I attract positive events in my life,’ ‘Today will be the best day of my life,’ ‘I am ready for new challenges and open to new possibilities.’ Your daily affirmations should be things that are meaningful to you. When you say positive things to yourself, it retrains your subconscious mind and leads you in a positive direction. You are learning to reframe your life in a positive direction. 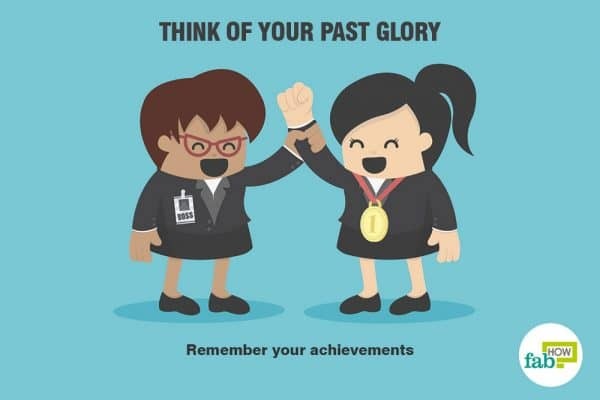 Think of your past glory. When you are stuck in a bad situation, remember a time when you achieved success, and you felt you were in the best phase of your life — a time when you pushed past your own expectations and accomplished something. Feel the excitement, the confidence and the belief you had in yourself. Feel it once again and believe that you can do it this time, too. Inject your mind and spirit with that feeling of accomplishment from your past. 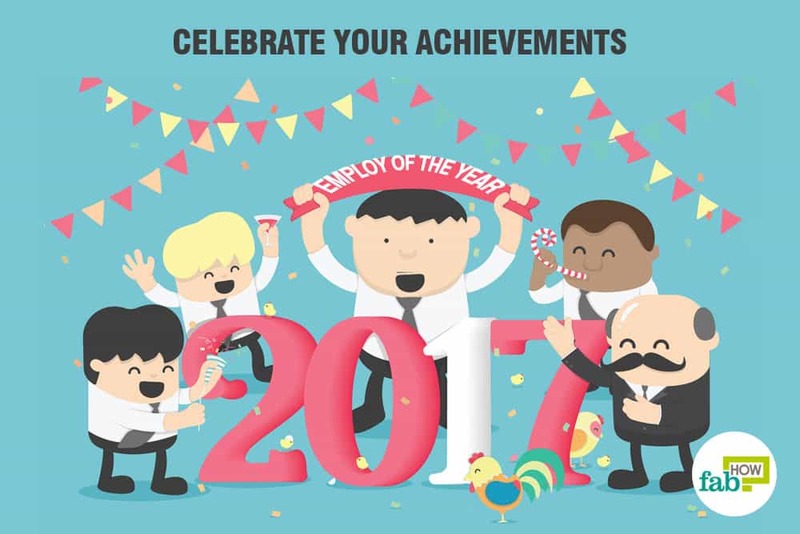 Celebrate your achievements. Thinking about your wins in life makes you feel good about yourself. Don’t focus on your problems. When you focus on your achievements, they help you move forward. They make you feel fulfilled and give you confidence, hope, and energy to build on your strengths. Use past achievements as motivation to do even greater things. Stop comparing yourself. Avoid comparing yourself to others. Comparing breeds envy and low self-confidence, which compromises your ability to achieve success. We all are unique in our own ways. Appreciate your uniqueness. Take responsibility for your actions. Taking responsibility can be empowering. Be willing to answer for the outcomes of your choices, actions, and behaviors. When you take personal responsibility for what happens, you do not blame others when things go wrong. This will make you work harder to make things better. Accept the way your life is. Acceptance doesn’t mean giving up. Know that things get tough at times and you will have to face challenges and go through struggles. Don’t expect life to be easy. Simply change your attitude and deal with things differently. A different outlook will allow you to see different possibilities for your life.